← evan centopani- This Cat is Brolic!!! So this meal is my new favorite. Its hamburgers seasoned with sason and adobo. Then in a pan green and red peppers with a quarter of an onion mixed with olive oil, and some sasson- stirred and done after 20 minutes of simmering. Essentially its a high dosage of protein, vitamin c from the peppers, and anti oxidants- also from the peppers. If I skipped the onions it would be ultra low carbs/calories. However I enjoy the taste. For a meal had after 8pm it was great. I did shoulders and abs so I think I deserve what I eat. 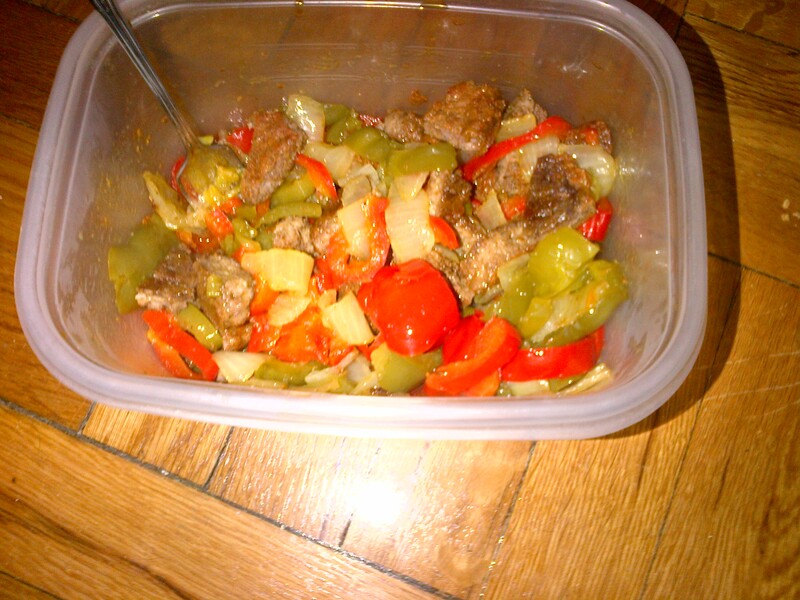 This entry was posted in Food/Meals and tagged #getbrolic, beef, Food, healthy eating, low carb, meals, no fats, no oil, onions, peppers, protein. Bookmark the permalink.